Are your kids early risers? Do they often come into you room while you are trying to catch the last few zzz’s? Maybe it’s time to set up a morning routine for them. This is a great life skill to teach and will help keep them off the tele or other screen time. Here are a few activities your children can do each morning. When they first get up, encourage them to make their bed and tidy their room. Put away any toys, books or games from the night before. Yes, sounds kind of obvious, but how often do you need to leave the house and realise junior is still in his pj’s saying ‘well I couldn’t find my socks’… The night before, lay out the day’s outfit including any shoes and socks, sports shirt etc. Have it all together at the end of the wardrobe or somewhere that’s easy to find. Let your children organise their own breakfast each morning. Set options which your kids can choose from, appropriately based on their age – younger kids can just be cereal, milk, fruit and yoghurt, but older kids can include toast or other warm options like porridge in a microwave. Once breakfast is finished, your kids should also get into the habit of putting their dishes away (either in the sink or dishwasher, depending on your household), and giving the table or where they eat a wipe down from any potential crumbs and other messes. This is a great way to introduce some responsibility to your kids! Once breakfast is done, they can move onto other things that may need completing. 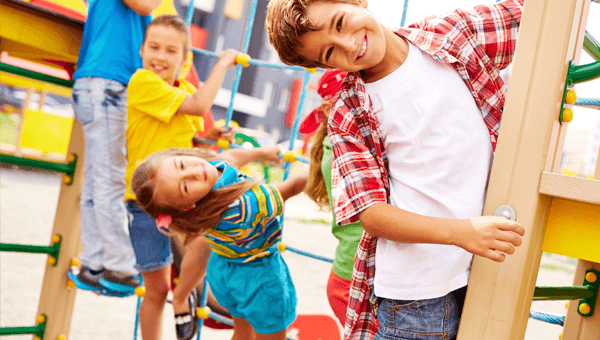 This can include any set by the parents, school homework, music practice, or getting their bag ready for school or anything for extracurricular activities (dance, sport, swimming). We also recommend installing a whiteboard (can be small) or pining up a piece of paper to the fridge (or somewhere they can see) of a list of things your kids can do. Again, this will help prevent your children barging into you room and asking what they can do. With your morning routine established, you can encourage continual commitment to it by offering up rewards. We all know kids love to receive a treat when they do something, so this will help ensure your kids stick to it! However, by rewards, we don’t mean your ordinary treats like chocolate or a toy. We like to encourage other ideas such as their choice of movie next movie night, or ice cream out with the family. These types of rewards are a perfect way to create experiences and family memories. Remember, your kids most likely won’t have their new morning routine down-pat straight away, but persistence pays of, so keep encouraging them!